Should there be a list of the most beautiful female sports broadcasters in the world, then Elika Sadeghi ought to be in the list and definitely at the top. She is a well-known former college football analyst who was previously the host of College Football Daily show on ESPN. A graduate of Business Administration and also an MBA holder in Marketing Management, the Elika Sadeghi has plunged into diverse career fields including working as a Strategic Business Planner for Kobe Incorporation, Director of Marketing and Business Development at API Consultant and at the moment, an Associate Director, Planning at Wunderman, Los Angeles. 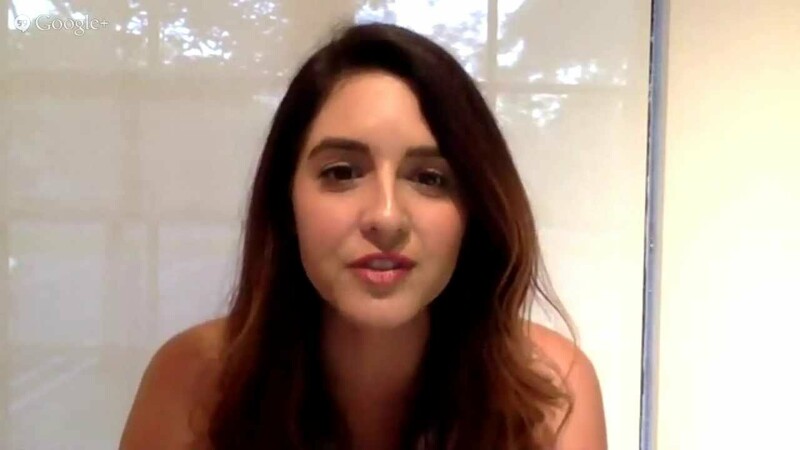 Elika Sadeghi gained much prominence in sports journalism when she bagged the freelancing job of a broadcaster, writer and marketing strategist at different widely-known sports networks such as FOX Sports, ESPN, CBS Sports and majorly contributing as a writer at Ohio State football website, ElevenWarriors.com. As we take a look into the bio of the multi-talented reporter, you will get to know more about her professional work profile and personal life. The gorgeous television personality who is of Iranian-American racial background was born in Palo Alto, California on 20th January 1985. Details about her childhood, parents, and siblings are closed details at the moment. Concerning her education, the beautiful sports analyst graduated from California State University in Long Beach where she obtained a Bachelor degree in Business Administration and a double major in Management and Marketing from 2002 to 2007. While at the university, Sadeghi was an active member of the American Marketing Association and executive of the Associated Business Student Organization Council. She also worked as a private SAT prep tutor of about 5 to 20 high school students. From 2007 to 2009, the California-born sports journalist proceeded to Ohio State University Fisher College of Business to acquire a Master of Business Administration (MBA) degree in Marketing Management and Strategy. During that time, Elika Sadeghi clinched several awards as a result of her exceptional knowledge and performance in her course of study which includes winning Power of People Award during the Procter and Gamble Case Competition, and also the Best Presenter Award at the 2008 Fisher College of Business Internal Case Competition. Upon graduating from the University, Sadeghi worked as a sales and marketing intern at ESPN Media Network. While she was there, the deft college football expert showcased her talent by working as a planner and coordinator of the network’s promotional events. She also carried out her MBA internship at Victoria’s Secret where she masterminded the VS Collegiate Credit Card Program as a project leader. Almost soon after, the diligent sportscaster started her career in the business world as an Accountant Strategist at Resource Interactive. After a while in the year 2000, Elika Sadeghi moved her services to API Consultant where she spent 9 years of her career working as the Director of Marketing and Business Development. The amazing journalist, however, rose to stardom as a notable sportscaster and well-known television presenter when she began working at various top sports networks like ESPN, FOX Sports, Next VR and CBS Sports as a freelancing sports broadcaster, writer and marketing strategist from January 2010 to September 2018. During that time, she worked as ESPN College Football Daily host, where she displayed her high level of professionalism as a sports expert. She also provided excellent analysis of college football and the players. Furthermore, Sadeghi has made appearances on other sports show such as Jim Rome’s self-titled program on CBS called Rome, where she discussed the 2012 Penn State Scandal. She also reportedly turned down an attractive job offer from Barstool Sports over non-professional clause included in the contract, which Sadeghi revealed on her Twitter account. See Also: Lakshmi Singh – Bio, Is She Married, Who Is Her Husband or Boyfriend? At the moment, the gorgeous sportscaster has majored in the business field, working as Associate Director at Wunderman Los Angeles. With regards to her personal life, Elika Sadeghi has maintained a low profile when it comes to her personal relationships. There are no stories that indicate that she might be in a relationship, However, as has become the case in recent time, we would not be surprised to find out that Sadeghi is in a loving relationship and has decided to keep it away from the media. As much as we know, the beautiful journalist is still unmarried as no wedding band has been spotted on her finger yet.